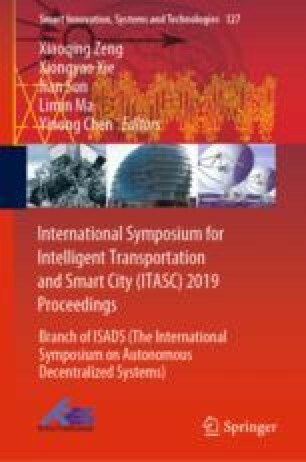 The objective of this study was to detect abnormal behavior event (fall) by analyzing the existing monitoring video for ensuring the safety of rail transit platform passengers. Here, the key point coordinates and limb joints of human body are obtained based on PAFs (part affinity fields). Then feature information determined the fall is extracted based on the neck key point tracking algorithm. The feature for judging fall, namely the angle between leg and horizontal plane, is proposed in this study. The experimental data is based on the simulated fall videos took from Leqiao station of Soochow 1st metro line in Jiangsu province. Our results show that, the single picture and video are tested respectively, and it is found that the timing information is more fault-tolerant and more accurate in identifying falls, yet is more complex and more difficult to implement. What’s more, because of the lack of sufficient fall videos, the results analysis based on the proposed algorithm remains much room for improvements. Also, more useful and efficient detection characteristics can be taken into account in the future.